[RELEASE STATEMENT] Serial hitmaker, Superstar DJ Xclusive is here with “Jam It” which historically features the Music legend 2 Face and Dancehall Maestro Timaya. Produced by Orbeat & DJ Xclusive, Jam It is a spectacular dancefloor take-over Jam, well-baked to please music lovers all over the world. Hardworking DJ Xclusive continues his trend of quality output with the release of an accompanying visuals for Jam It. This thrilling video directed by Adasa Cookey showcases the “Jam It” dance pattern with vibrant, stylish and energetic dancers. 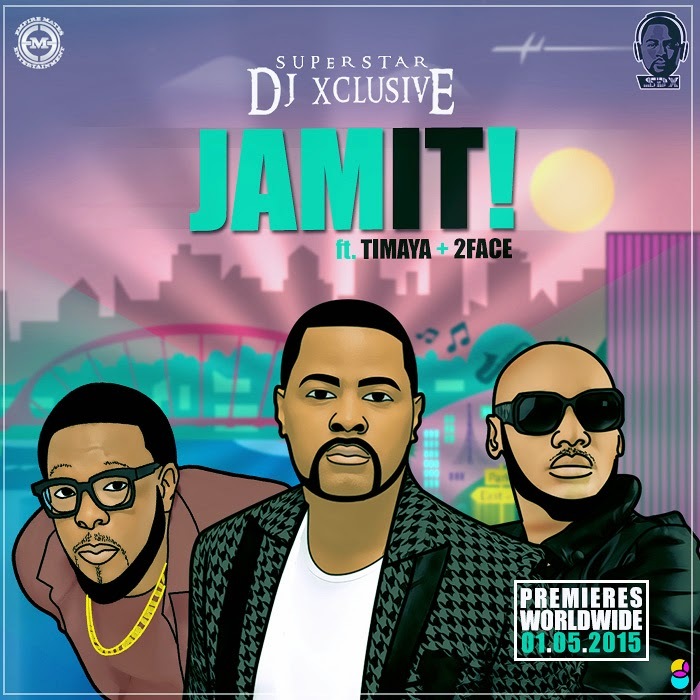 The trio of DJ Xclusive 2 Face and Timaya successfully team up to deliver a fresh song and a worthy video. Jam It is sure to do wonders for DJ Xclusive’s ever-rising profile and catalogue of hits, as his teeming fans are eagerly waiting for his album described by critics as one of the most anticipated albums of 2015.